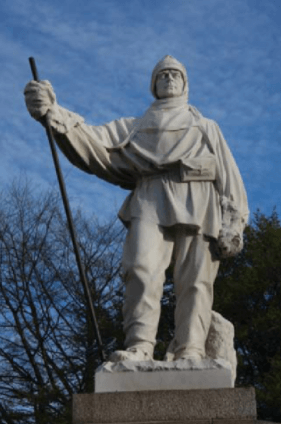 The marble statue of Captain Scott, sculpted by his wife Kathleen, Lady Scott, at La Massa, Italy in 1915, was toppled in the Canterbury earthquake of 22 February 2011. Since then it has been carefully stored, and a steering committee including representatives from the Society has been working toward its restoration and re-siting. Because of the damage sustained, the restoration was more complex than simply “gluing it all together”. 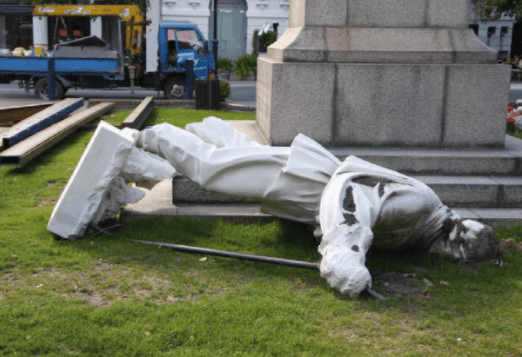 Advanced repair methodology has now been tested, and the likelihood is that the statue will be returned to its plinth this year, followed later by a formal unveiling.